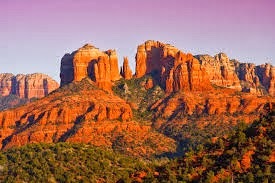 Sedona is an amazing place offering a wide range of natural wonders that will leave you speechless. This amazing destination is known for its amazing art and vibrant art galleries that are the perfect places for art enthusiasts. Situated in the northern part of Phoenix, Sedona is a part of Arizona and comprises of some amazing rock formations, especially Red Rocks. Apart from the breathtaking landscapes, there are excellent opportunities for outdoor fun and adventure with hiking and mountain biking opportunities. The city of Sedona is small and there is a small airport in the city, Sedona Airport. The airport is not big enough to deal with jet traffic from all round the world and hence the people from all round the world can reach in here by landing in Phoenix international airport. Located high on the rocks, the Chapel of the Holy Cross is an amazing place to enjoy the sightseeing of the complete area. You can climb up the rocks and enjoy the magnificent views of the town. The cathedral rock trail is an amazing place with lines of amazing sandstone formations that can be explored by you. The views here are amazingly beautiful and most of the people come here to capture the incredible sunsets that are really impressive and breathtaking. Located to the north of the Oak Creek , the Bell Rock is a populous destination. The elevation of the peak is 4,919 feet and offers amazing views of the city. If you are adventurous, you can go rock climbing and explore the top part of the rock. 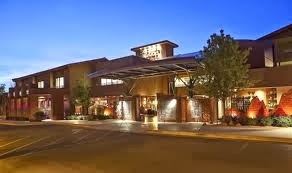 The accommodation options in Sedona, Arizona are numerous, you just need to decide upon your budget and requirements. 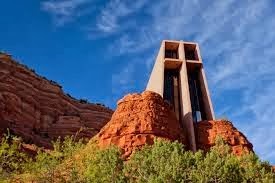 Off the several hotels, located in the city, the ones that can be considered by you include Hyatt Pinon Pointe Resort, Orchards Inn, Best Western Arroyo Roble Hotel & Creek, Kings Ransom Sedona Hotel, Sedona Rouge Hotel & Spa and L`Auberge De Sedona. Apart from good hospitality and friendly staff, these hotels are also known for providing delicious cuisine. 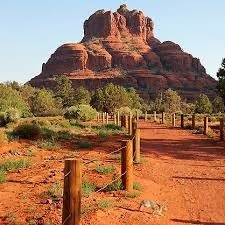 Sedona is an incredible city and can be referred to as Rock City due to the several amazing rock formations that occurred over time. 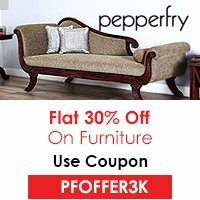 Exploring these red rocks and enjoying the exotic views of the nature can be the best thing that you can do during your trip. Those who love adventure can go for hiking and rock climbing also.